“To many managers, the product is the business, firms continue to spend inordinate amounts of time, effort, and resources on their products. In fact, businesses are structured around their products. But answers to questions like “why do customers buy from us? Don’t reside in products. They reside almost entirely in the interactions that take place in the marketplace”. 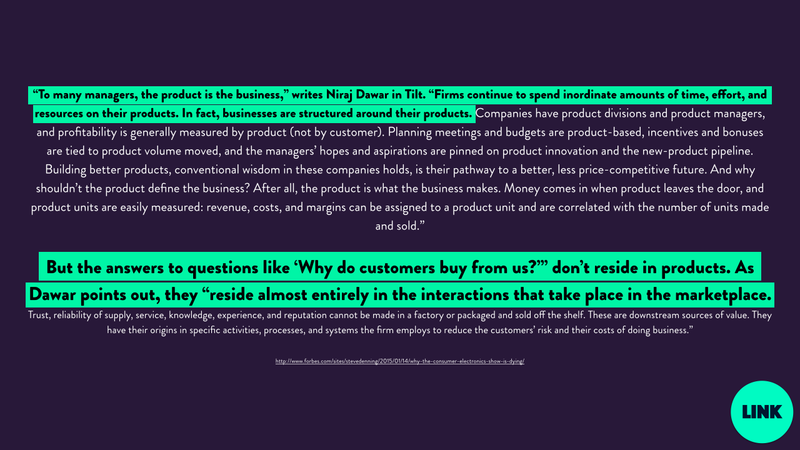 — Steve Denning, A Users guide to the new economy. 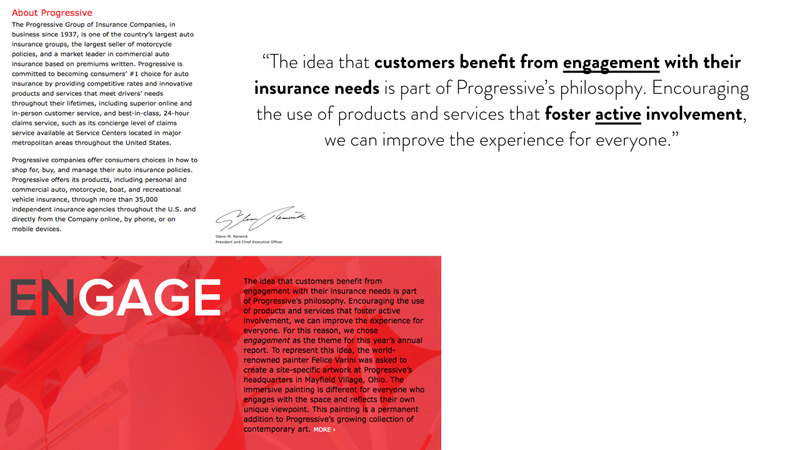 “The idea that customers benefit from engagement with their insurance needs is part of Progressive’s philosophy. Encouraging the use of products and services that foster active involvement, we can improve the experience for everyone.” — Glenn M. Renwick President and CEO of Progressive. 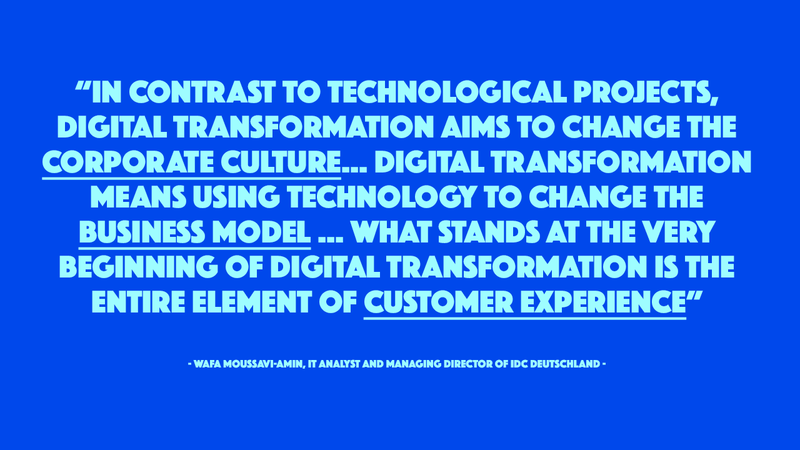 I recommend companies look into value transformation processes. 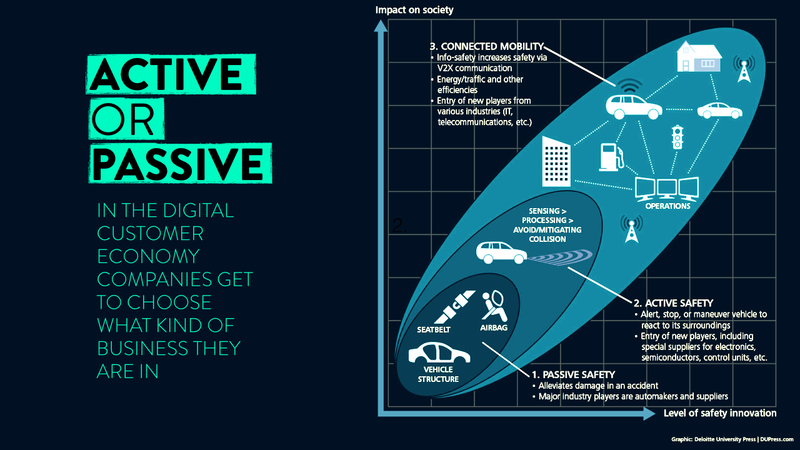 To understand how they could capture value from active collaborative relationships with customers and start prototyping dynamic business models for this type of enterprise. “We will be moving from transaction base to engagement base. The company needs to provide a service to you, not a box. 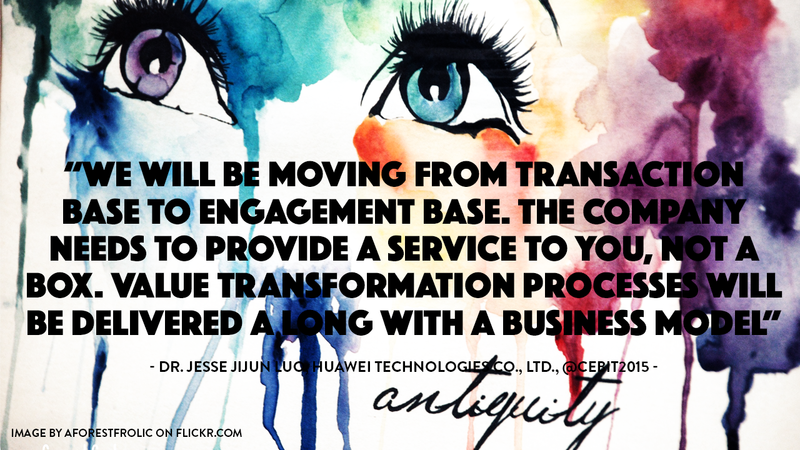 Value transformation processes will be delivered a long with a business model” — Dr. Jesse JiJun Luo, Huawei Technologies Co., Ltd.